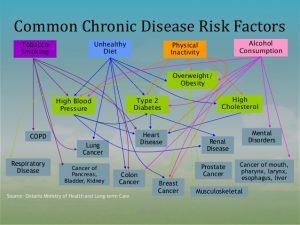 Directly addressing chronic disease management is critical for personal wellness and corporate wellness. General lifestyle coaching is incomplete, and could be to the detriment of a person’s health, and most certainly robbing the company potentially of thousands per chronically ill employee. We have created wellness programs – revolutionizing wellness, far more affordably. Now available – Incentivizing with wearable technology measuring employees biometrics. 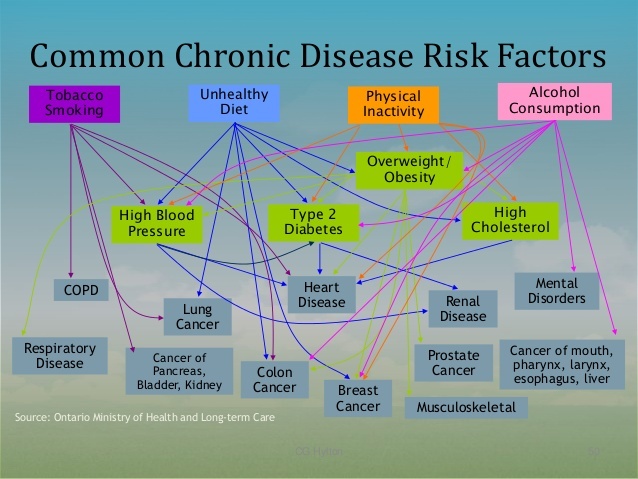 Chronic diseases and conditions are the major drivers of sickness, disability, and health care costs in the nation. As of 2012, about half of all adults—had one or more chronic health conditions. One of four adults had two or more chronic health conditions. Arthritis is the most common cause of disability. Of the 53 million adults with a doctor diagnosis of arthritis, more than 22 million say they have trouble with their usual activities because of arthritis. In 2011, more than half (52%) of adults aged 18 years or older did not meet recommendations for aerobic exercise or physical activity. In addition, 76% did not meet recommendations for muscle-strengthening physical activity. About half of US adults have at least one of the following major risk factors for heart disease or stroke: uncontrolled high blood pressure, uncontrolled high LDL cholesterol, or are current smokers. 98% of Americans consume too much sodium, increasing their risk of high blood pressure. In 2011, more than one-third of adolescents and 38% of adults said they ate fruit less than once a day, while 38% of adolescents and 23% of adults said they ate vegetables less than once a day. More than 42 million adults—close to 1 of every 5—said they currently smoked cigarettes in 2012. Cigarette smoking accounts for more than 480,000 deaths each year.  4/ 10 most expensive health conditions for US employers—high blood pressure,heart attack, diabetes, and chest pain—are related to heart disease and stroke. Work-related stress is the leading workplace health problem and a major occupational health risk, ranking above physical inactivity and obesity. Productivity losses linked to employees who miss work cost employers $225.8 billion, or $1,685 per employee, each year. Full-time workers who are overweight or obese and have other chronic health problems miss about 450 million more days of work each year than healthy workers. 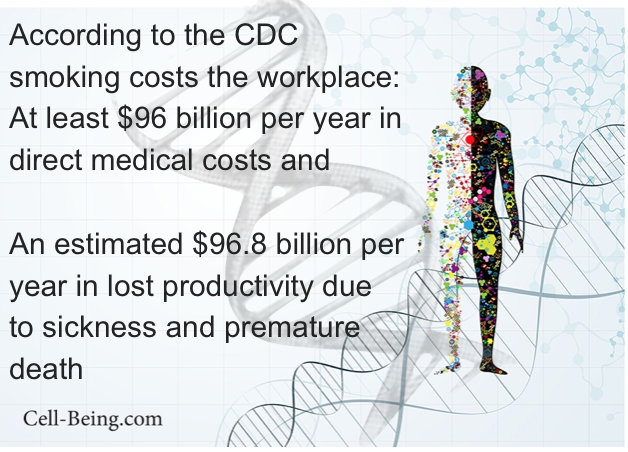 The result is an estimated cost of more than $153 billion in lost productivity each year.  A 1% reduction in excess weight and high blood pressure, glucose, and cholesterol levels has been shown to save $83 to $103 annually in medical costs per person.  Chronic diseases and related lifestyle risk factors are the leading drivers of health care costs for employers. Create a culture of health that is employee-centered.  Provide supportive environments where safety is ensured and healthcan emerge.  Increase access and opportunities for employees to participate in a variety of workplace health programs.